Jack Lee, a retired engineer, worked at IBM for 28 years. He has traveled all over the world. This past spring, I had the opportunity to visit China for a two-week vacation. My wife and I joined some of our friends on a group tour that was organized by a Chinese travel company. It is no exaggeration to say that this was a trip of a lifetime. Six years in the planning, the journey covered 1,000 miles through seven cities, starting in Beijing and ending in Hong Kong. We traveled by bus, bullet train, boat, and airplane, and we stayed in some of the finest hotels the country has to offer. 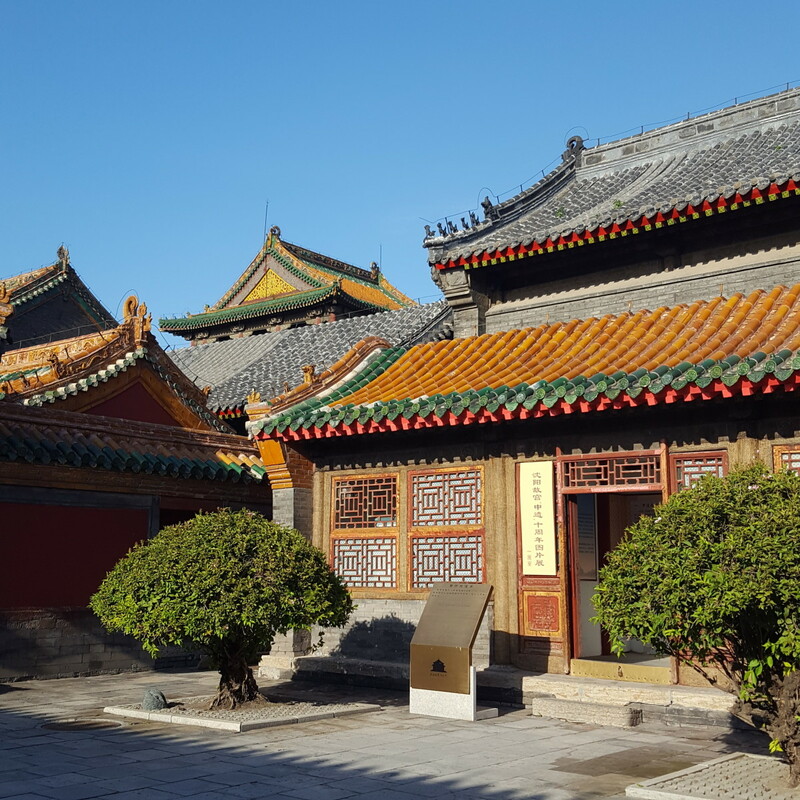 We saw some truly amazing sites, and I learned quite a bit about Chinese history and culture from our guides. I took notes along the way so I could report on what I saw and experienced. Overall, it was an incredible vacation—even if it was also exhausting. We used different means of transportation for each leg of our journey. From Beijing we flew to Datong, and from there we drove by bus to Pingyao. Next, we took a bullet train to Xi'an. Then we flew to Guilin, where we enjoyed a four-hour cruise down the Li River. Finally, we flew to Shenzhen and Hong Kong. Others in our group took an additional three-day cruise on the Yangtze river. My wife and I are first-generation immigrants from Taiwan. We came to the United States many years ago, and we have lived in New York for over 40 years. I spent my career as an engineer at IBM, and though I am now retired, I am still active in the community. While my wife and I are both of Chinese heritage, we consider ourselves to be Americans and New Yorkers, through and through. This trip, which we took shortly after I retired, was a long-anticipated journey to visit our ancestral homeland. My wife's family is originally from Sichuan province, and my family is originally from Shandong province. My wife had been to mainland China on two previous occasions, but this was going to be my first-ever visit. We both speak the Mandarin language, which was very helpful in China since it is the official dialect. Over my career at IBM, I'd had the opportunity to visit quite a few countries around the world, and I was accustomed to observing cultural differences abroad. I had heard from relatives and friends about China's growing wealth and international influence, and I wanted to see the changes taking place first hand. I was not disappointed. After spending two weeks in China, I came away with a new understanding of the country and its people. 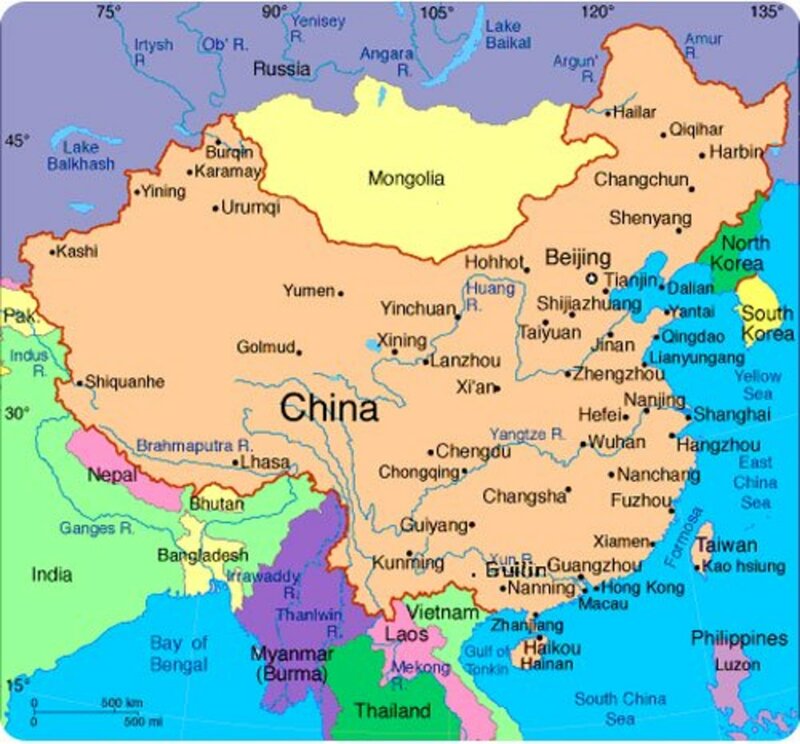 Despite the political differences between China and the United States, I discovered that the people in both countries are pretty much the same. Chinese people want the same things that we do—a better future for their children and family. The main challenge for China is its vast population. Despite the one-child policy, which lasted for more than 30 years, the country's population has reached a staggering 1.3 billion. That's four times the U.S. population, in a land mass that's approximately the same size. China's new wealth and global influence, which have arisen in part by adopting some Western capitalist economic policies, have indeed helped many large cities. However, many rural areas have been left behind. 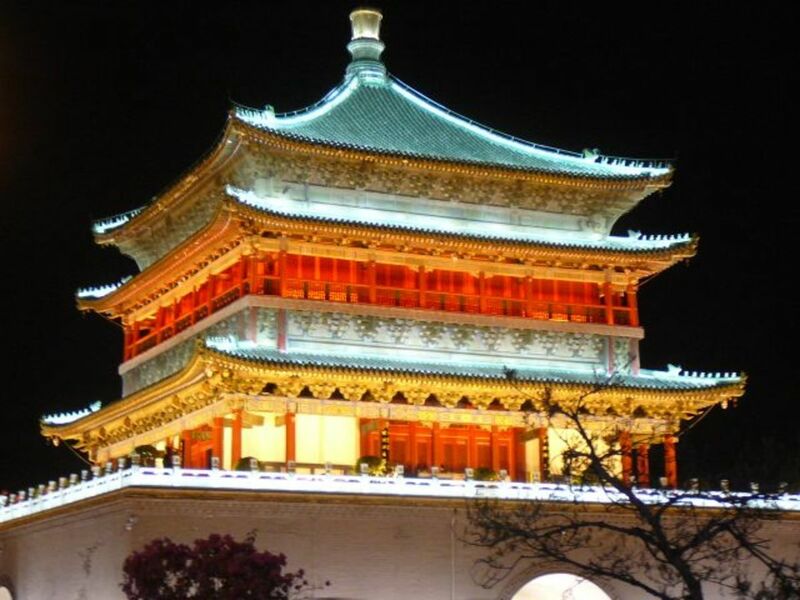 There is no question that China has a long and illustrious history of making contributions in the areas of culture, philosophy, architecture, science, and engineering. These contributions were in full view during our trip. 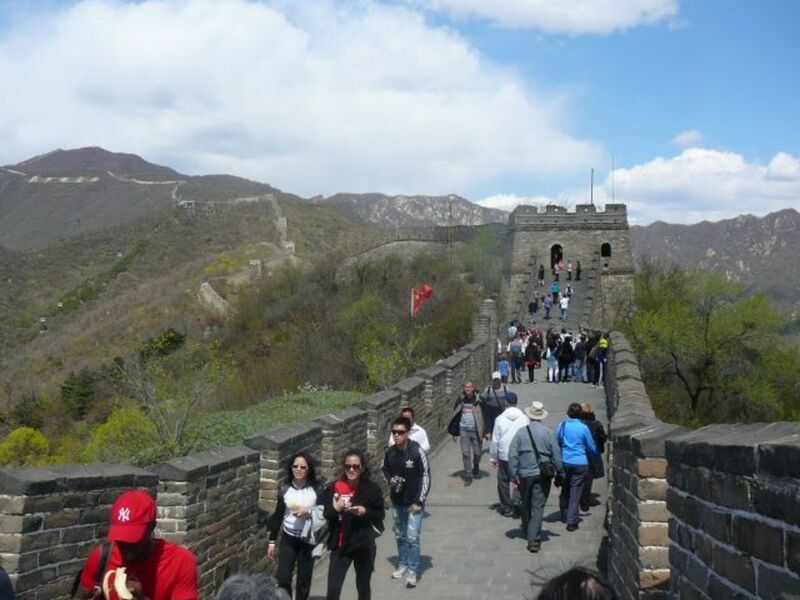 From the Great Wall to the many Buddhist temples, from the terracotta warriors to the Taoist shrines, and from the old cities to the gleaming skyscrapers, the human accomplishments were inspiring. Instead of focusing on the many tourist sites we visited during our trip (which were undeniably impressive), I want to devote the rest of my commentary to modern China as I saw it in 2016. China has many challenges ahead. They have a long way to go, in my opinion, if they want to reach a comparable status relative to America. Not that America is perfect, but there are fundamental differences that I think will make it harder for China to achieve greatness. I want to emphasize that these are only my opinions, based on personal observations and certainly influenced by personal biases. However, I wish to clarify that I make these comments out of a genuine desire to help China improve in the future. I do not wish my comments to be taken as negative criticisms in any way. Having spoken to others who have visited China, I know I'm not the first to make these observations. I have divided my thoughts into 10 major topics. China's enormous population, and in addition, the lopsided ratio between men and women of marrying age, are ongoing problems. According to current estimates, the ratio of men to women is 1.057 to 1—which means there could be around 28 million men who may not be able to find a wife. The one-child policy, which was introduced in 1979 and phased out in 2015, has already had (and will continue to have) long-term implications for China. One fact that I learned from our guide is that China's ethnic minorities were exempt from the one-child policy. The country is not as monolithic as one might think. The majority of Chinese people are Han, an ethnic group that accounts for 91% of the population. The remaining 9% is composed of 55 other ethnic groups. For example, the Zhuang number around 17 million. Despite the fact that China has now phased out the one-child policy, I learned from our guide that some young people today are choosing to have only one child, rather than two. The main reason is economic. It is expensive to raise a child, and some parents are choosing to improve their economic status rather than have a second child. A rapidly aging population, coupled with a stubbornly low birth rate, will certainly affect the pension system and elder care. I don't want to debate the merits of the one-child policy, but in my opinion, it is always better to let people choose for themselves whenever possible. Collectively and individually, people will do what is best for their own situation. This is one of the tenets of democracy and free society. Poor air and water quality are major problems in China. 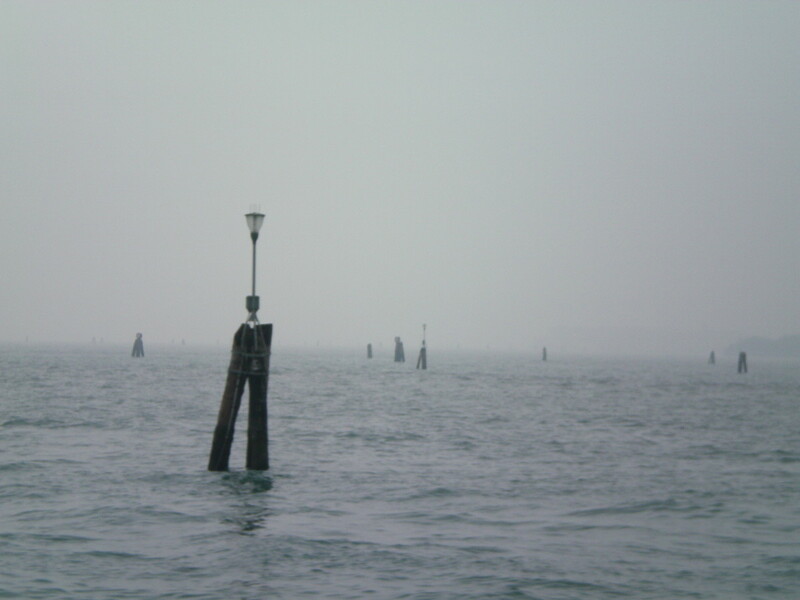 Most of the areas we visited had smog that was not unlike Los Angeles or New York City in the 1970s. Another issue is clean drinking water, which was not readily available. Bottled water is very common in hotels and stores, and tap water must be boiled before it can be consumed. One of the cities we visited, Datong, is a major coal producer, and coal is still the primary source of energy for the vast number of Chinese. The recent worldwide focus on climate change and the reduction of fossil fuel emissions, while certainly critically important, have caused some problems for the common people in China whose livelihood depends on coal. In my opinion, the air quality issue should be separated from the climate change agreements. 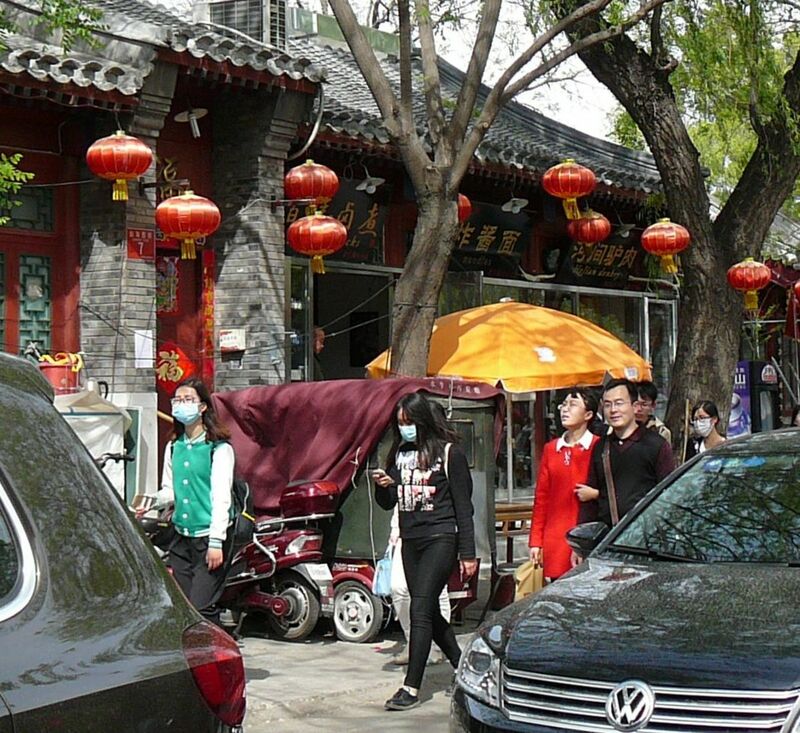 China must focus on reducing smog emissions so that the people can live in a clean environment. Clean air will benefit public health in the same way that reducing smoking in public places would. On a positive note, I was surprised to observe many electric taxis, buses, and scooters on the streets of the main cities. These vehicles help reduce overall emissions, but much more needs to be done in terms of gasoline and diesel automobiles and trucks. This problem is solvable—we have done so here in the United States. Having clean air and clean water are basic necessities in any modern civilization. The traffic in China is horrendous. I have to give kudos to all of our bus drivers on our trip. They demonstrated incredible skill, patience, and stamina while driving on the roads. The problem is not only congestion, which occurs in many major cities. As I see it, the problem arises from several factors. In addition to the sheer volume of cars, scooters, tricycles, bicycles, and pedestrians sharing the same roads, there is a lack of respect for traffic signals and laws. The lane markings seem to have no significance. Cars and vehicles dart into any spot on the road that is momentarily vacant. 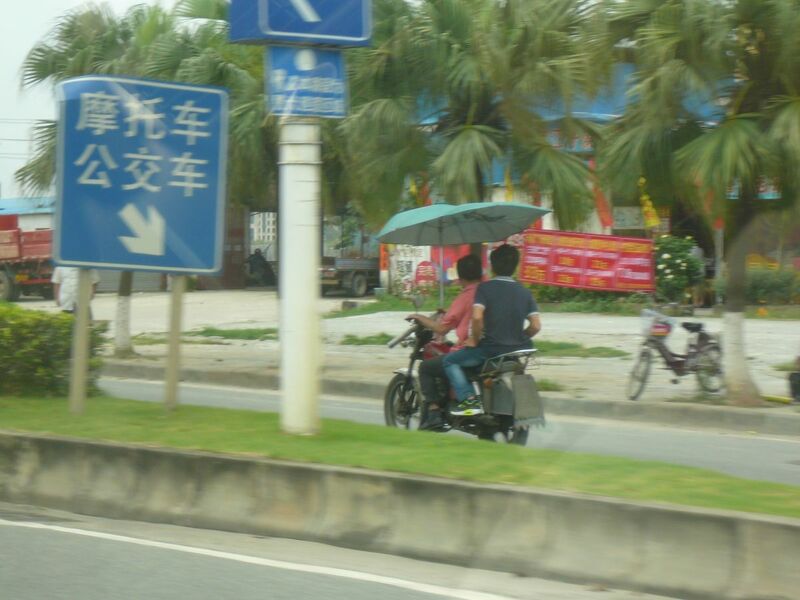 It is not unusual to see a motor scooter going the wrong way—and the other drivers on the road seem to take it in stride. I am reminded of Thoreau's Walden Pond, in which he describes "the masses of men leading a life of quiet desperation." Some roads are so narrow, it seems only one car or bus can pass—and yet it is a two-way road. For some unexplained reason, it seems to work. I saw very few accidents on this trip, even though there were many close calls. I was surprised to see so many electric scooters, buses, and taxis. Still, it doesn't seem to make a dent in the pollution problems of large cities. 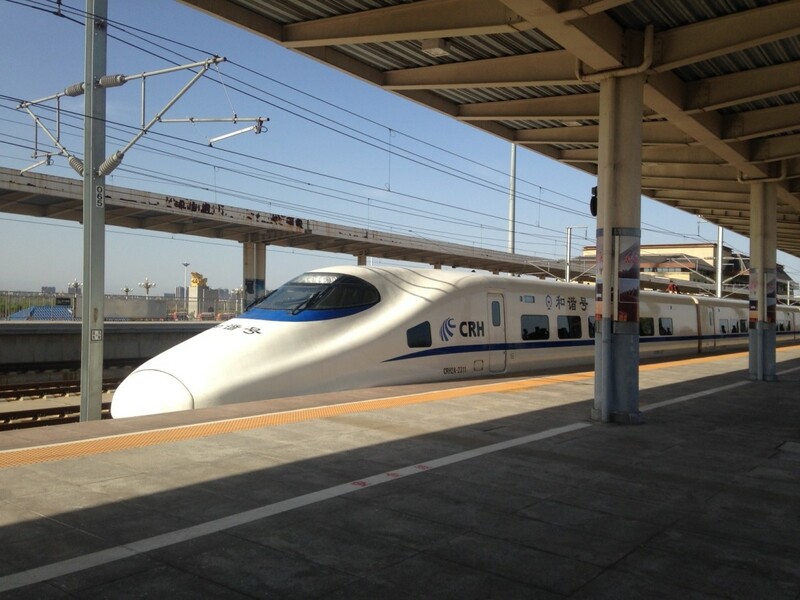 The one bright spot I saw in terms of transportation was the bullet train that we took from Pinyao to Xi'an. It was fast, very quiet, and well organized. 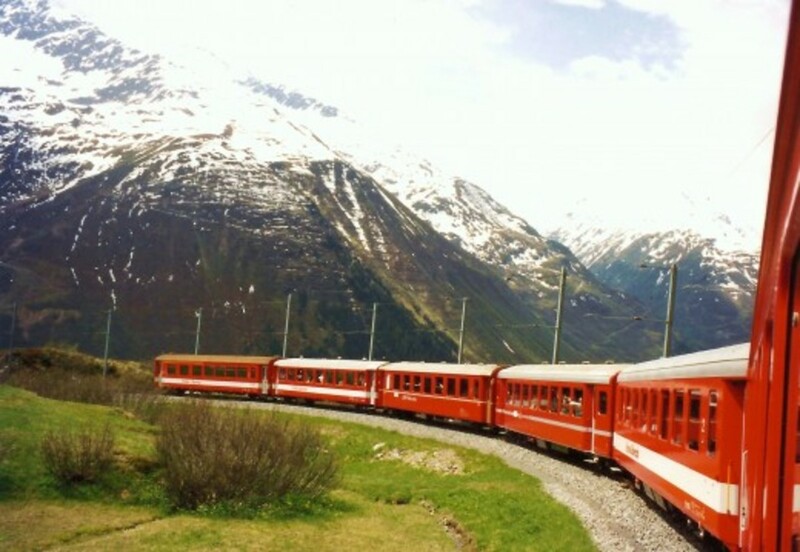 We had assigned seats, as if it were an airplane flight, and the train ran on schedule. It was a much better experience than trying to get through airports. By the way, I saw many drivers using cell phones and driving at the same time. It seems to be an accepted practice. The one violation our driver received was during a routine checkpoint stop at the entrance to a highway; the citation was for the driver's malfunctioning seat belt. Speaking somewhat facetiously, I would suggest that Google test its self-driving cars on Chinese roads. If they can make it there, they can make it anywhere. Nearly everywhere we traveled, we found problems with the availability and quality of public restrooms. Many places that we visited lacked proper toilets and toilet paper. Another issue is the pervasive odor. I was told that part of the problem is the result of the way sewers and drainage pipes were designed. It seems that many drains lack the simple U-trap that prevents odor from seeping back into the air. Finally, almost everywhere we went, no matter whether we were in cities or rural areas, we observed the common practice of people hanging laundry from balconies. For some reason, electric dryers seem to be uncommon in Chinese homes. In my opinion, all of these factors detract from the quality of life for citizens and visitors alike. Common etiquette is somewhat lacking in certain sectors of the local population. This includes issues like public spitting, talking loudly on cell phones in public, shouting across the room in restaurants, and walking down the sidewalk without observing simple right-of-way norms. I saw people walking in the streets while cars and scooters honked their horns to no avail. These pedestrians just kept walking as if they didn't have a care in the world amongst the chaos. I realize that some of these issues may seem minor, but I think schools should teach students about rules of civility and decorum that would benefit the public good. I was surprised to discover that I had trouble connecting to Google and many of the news sites I like to read. I encountered this problem both in our hotels and in WiFi hotspots throughout the country—and I was told by one of our guides that some websites are blocked by the government. It was hard for me to determine which websites were under scrutiny; I was not sure whether the problems were due to poor connection, low bandwidth, or intentional censorship. As a true believer in freedom of choice, I think censorship is unacceptable. A government should not be in the business of preventing citizens from accessing information. The government should respect the people and give them the opportunity to decide for themselves which websites they'd like to read. A free society works best when knowledge and information are freely available and exchanged. As a side note, I did notice an odd wrinkle as far as Gmail was concerned. Even though Gmail is part of Google and should supposedly have been blocked, I was sometimes able to download some email on my Gmail account via my iPad. The problem, however, was that not all of my email came through. The one thing worse than not being able to access your email is getting only some—and not others. A total breakdown of communication ensues. I learned from our guide that the Chinese education system is structured such that people are restricted to the region of their birth. They must attend schools within their own district region. This seems rather arbitrary and limiting. I can understand this for grade school, perhaps, but not when it comes to university. Students should be able to pursue their education based on their own merit and scholarship, rather than where they happen to have been born. Rather than a criticism, in this area I am actually optimistic. Our guides described how China is copying the U.S. economic model in certain ways, which is leading to very successful results. We learned that China has embraced private ownership, hard work, better education, and the pursuit of excellence. It is ironic that in 2016, a communist country like China is adopting free enterprise and limited capitalism, while in America our young people are supporting Bernie Sanders for president, a self-professed socialist. An area that I think needs improvement is the process of crossing borders within China via air. It was so difficult and time-consuming to cross the border between Shenzhen (in mainland China) and Hong Kong (a special autonomous region within China). It could easily take an hour or more to cross between two checkpoints. I am told some commuters and students do it every day. The airport security check was the strictest I've ever experienced. Every passenger was checked by a hand-held electromagnetic wand—and that was after passing through the metal detector. China is the only place I know of that conducts luggage spot checks after leaving the security-check area. I'm not kidding. If China is going to become a world leader, they need to fix these inefficiencies. They cannot expect passengers to spend two and a half hours at the airport just to take a one-hour flight from point A to point B.
I was surprised to learn that the average Chinese citizen lacks religious influences. 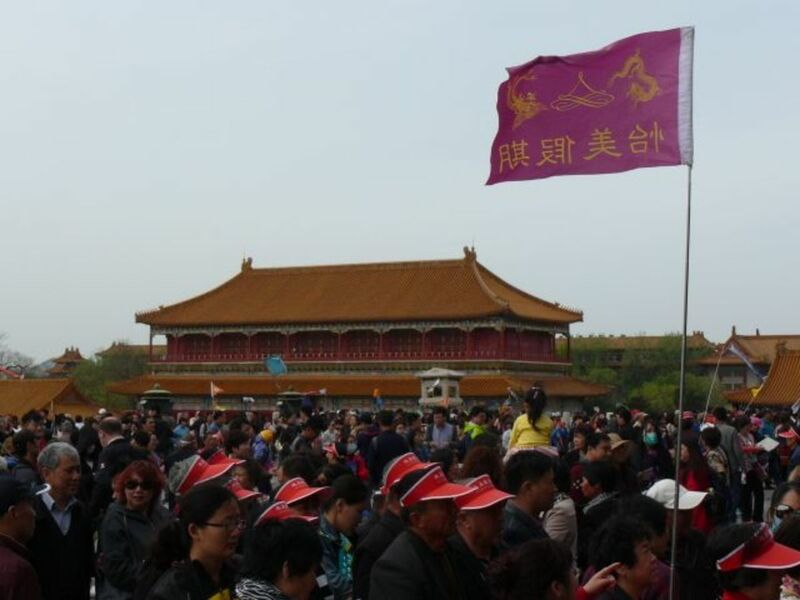 Apparently, even when it comes to wedding ceremonies, religion has no role in modern China. On the other hand, it is true that certain traditions and rituals persist for weddings; for example, people may rely on principles of numerology or feng shui to pick a specific date. 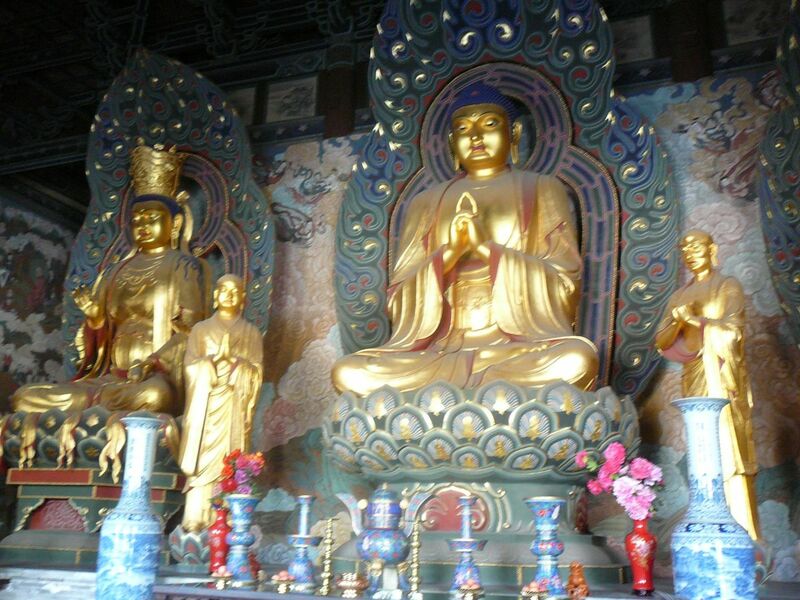 Even though we visited many Buddhist and Taoist temples during our trip, they seemed to exist more as tourist attractions than as places of worship. 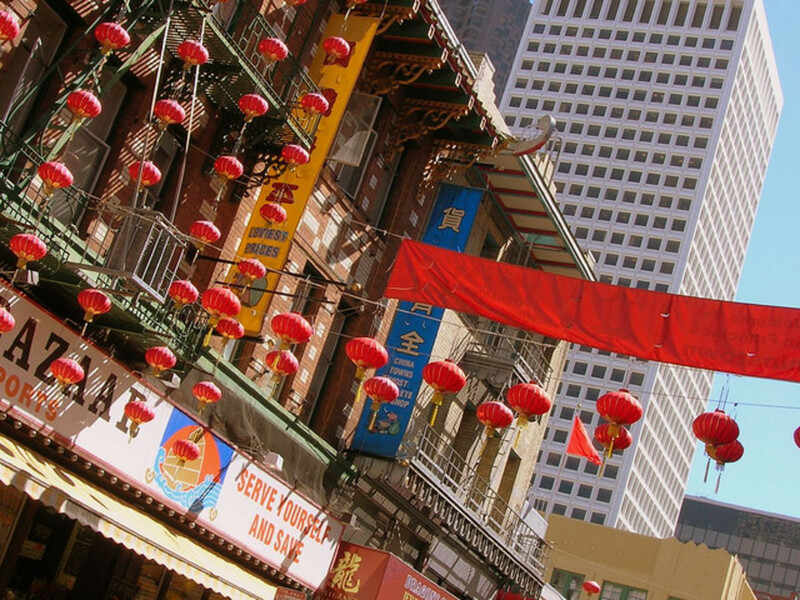 It is sad to consider that China's rich, religious traditions may be a thing of the past. It reminded me of my visit to St. Petersburg, Russia, years ago. I visited many local cathedrals that were beautifully preserved—but no longer served any religious purpose. "We have no government armed in power capable of contending in human passions unbridled by morality and religion. Our constitution was made only for a moral and religious people. It is wholly inadequate for the government of any other." As I sit here at my computer, I can't help but be grateful for my many blessings. I have always believed that many Americans take things for granted. They have no idea what life is like for people in other countries who may be less fortunate. We are the luckiest people on the face of the earth. I am grateful for the clean air in our town, and the peace and quiet of our neighborhood. I am grateful for the clean water that runs into our houses, and the sewer system that takes away our waste. I am grateful for the vast variety of fresh produce and meats in our supermarkets. The convenience of jumping into our cars and driving anywhere we wish. The nice roads with law-abiding drivers, and the convenience of EZpass. I am grateful for my freedom to access the internet without censorship, and the freedom to voice my opinions—popular or not—without retribution. I am grateful for our bill of rights that guarantees freedom of religion, freedom of speech, and freedom of the press. I am grateful for our constitution. I thank God every day that I live in the freest country in the world. I am very happy that I was able to travel to my ancestral homeland. I truly consider it to have been a trip of a lifetime. I'm also glad for the possibility to contribute, in some small way, to China's progress by making some suggestions for improvement. I want China to succeed—and in the process help the world to succeed. As a planet, we have many challenges as we face stagnant economic growth, environmental destruction, increased border tensions, and terrorist threats. Anything we can do to reduce tension and increase prosperity will go a long way to help us in the future. Thank you for reading about my journey. I look forward to your comments and feedback. I want to thank our tour guides throughout our long journey. Not only did they provide a great deal of information about Chinese culture and history, they also shared personal life stories that enriched my understanding of the country and the people. I want to acknowledge the incredible skill of our drivers, who expertly maneuvered through chaotic city traffic as well as treacherous mountain roads. Finally, I want to thank Odyssey Tours and our tour planners for organizing this trip of a lifetime. 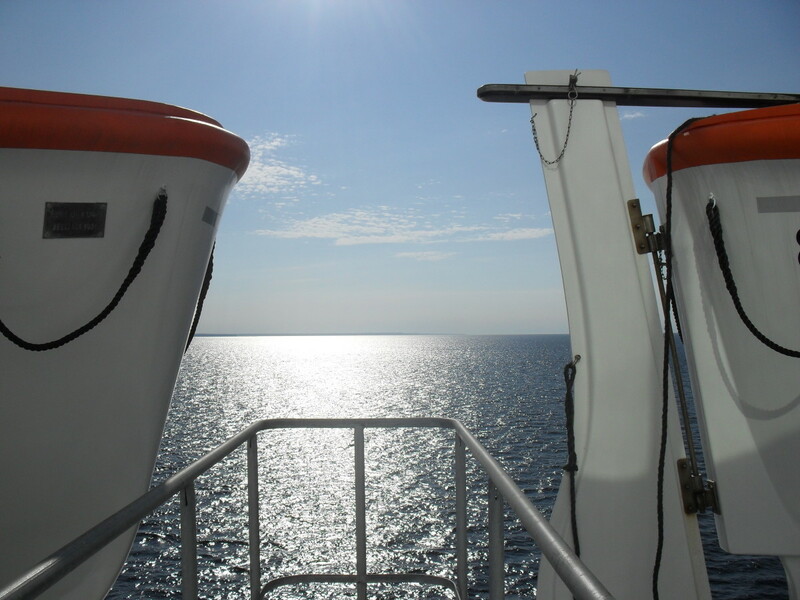 Our journey went off without a hitch, which is a testament to their knowledge and expertise. They are professionals in every sense of the word, and I commend them for a well-executed trip. Wow!! Wonderful article. I also love to travel different places. These are quite beautiful places for traveling. Thanks for sharing your post with us. Hope you will update more information soon. Thanks Patty for the kind comments. I do think my writings have benefitted from our writing workshop. The feedbacks and critique helps me in all my writings. Yes, in China. But China is, after all, a highly protected market. And you'll note that Tesla is far and away the strongest foreign entry. Wow Jack! First and foremost I am so very glad that you and your wife had the opportunity of a lifetime to enjoy and immerse yourselves in such an amazing country. I'm also very grateful you shared your travels the way you did. It was wonderful to read and see and understand a lot of what is going on in a country where the parent is the gov't. Your insight and gift for details that many would overlook are refreshing and real - making it much easier for a person like myself to grasp. Thank you again for sharing! I think it is wonderful! Doc, thanks for the info. 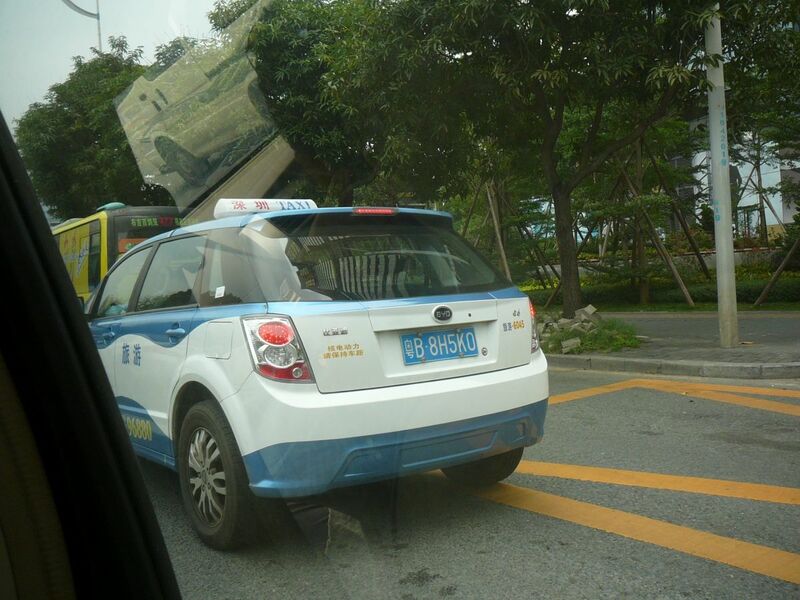 It does seem BYD is doing better than Tesla in the mass electric car market. Marcia/Vicki, thanks for your comments. We enjoyed the trip of a lifetime with the whole group. Thank you for such a magnificent blog. Your perspective, analysis and photos of our trip was enlightening. Being a 4th generation Chinese American, I've taken things for granted but each time I return to China I've learned to appreciate what we have in America. China has made a lot of progress in the past 15 years but it is still undergoing changes. They have definitely surpassed American technology in their train system! 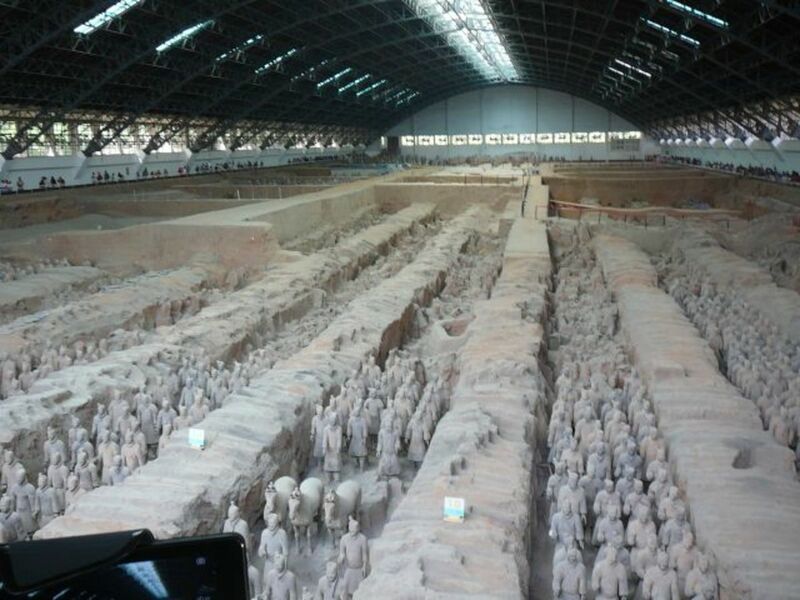 My greatest enjoyment in returning to China is visiting the historical sites of my ancestors. This trip as well as our group have seen and experienced more in a short period of time. Thank you for being part of the group. Awesome blog, even better slideshow. Thank you. China was such an unbelievable experience for us and we really enjoyed everyone in our group and hope to meet again some day. China's pollution problems are enormous, as Jack reported, but efforts to address them are also very impressive. The predictions made by some that China would 'do nothing' to address carbon emissions despite the commitment made in the bilateral emissions pact with the US are certainly not being borne out so far. Connie, with regard to the cloth hanging, it is a bit more complicated. I am told it is a cultural thing with the Chinese. Many expensive high-rises have similar clothes hanging on balcony. They don't trust the electric dryers and prefer the natural sun to dry their clothes. I'm sure some are also wanting to save electricity costs. Connie, I think you are right about Hong Kong. As with many metropolitan cities, there always will be rich and poor areas. My comments relating to Hong Kong is based on a very short stay. However, I did notice the disparity between Hong Kong and Shenzhen which is only across the border. I do think the local Chinese people gets it. They see the disparity between a free market economy in Hong Kong and the Communist system and they are convinced which is the better path forward. It will take them a while but the young people will make the difference. as they did on a bicycle. Thanks for the clarification. Anyway, it sounds like you had a great trip. bradmaster, You are correct in your observation on Hong Kong. It is for the rich for the most part. I only spent a day there and it was impressive. In fact, one of the world travelers I met commented on this. She said besides the USA being the best place in the world, she thinks Hong Kong is number 2. I'm not sure I agree but that is her opinion having traveled all over the world. A 1 gigawatt concentrated solar plant is a huge step up in scale--but China is not afraid of scale, is it? In a way, it's relevant to what you said in your comment. It's not the case (though it's often thought of this way) that the UNFCCC treaty on climate constitutes 'some agency at the UN or Paris' telling local authorities what to do. The whole structure of the treaty, the whole essence of it, is that signatory member states decide *for themselves* what they do to reduce emissions, and how they will do it. That's why the term "INDC"--for "Intended Nationally Determined Contribution"--is used. And while many folks have decried the lack of some kind of 'enforcement mechanism' in the treaty, IMO it's 'not a bug, it's a feature.' The reason that so many nations have signed the treaty and created INDCs is that they realize that there is not, in fact, time to waste. The time to quit smoking is not when you already have cancer; similarly, the time to transition away from fossil energy is not when the hundreds of billions of dollars of losses--which we experience now, and which are not too hard for a $77 trillion global economy to absorb--escalate to trillions. Now if only they started making some progress on freedom and the rule of law, too! Both of us would, I'm sure, be very glad to see that! Doc, Thanks for reading and commenting. 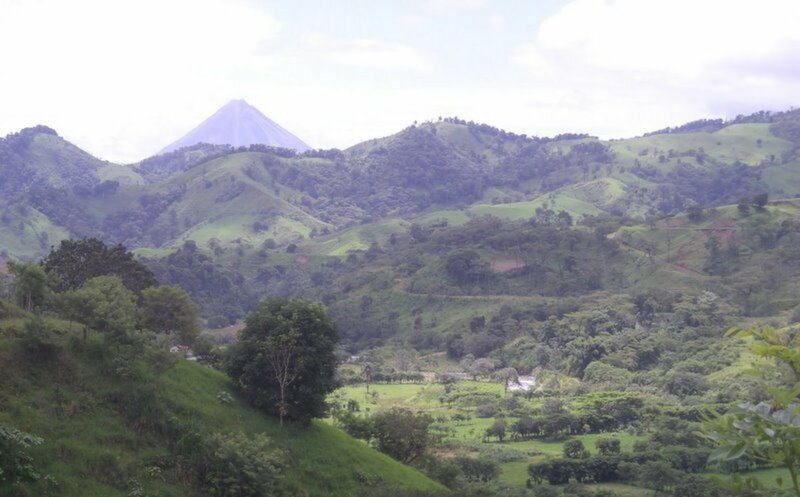 I didn't intend to bring up the controversial topic of climate change as relate to coal but I will say from my observation that many of the locals in the countrysides are scratching a basic minimal living and living in very poor conditions by our standards. It is not for us to dictate to them what is good energy source. The low cost and availability of coal is the primary driver. My point is, separating clean air policies from renewable energy is just pragmatic. Clean air and water is a more immediate need while climate change by contrast is a much longer time scale. We know we can fix the smog by cleaner car emissions and cleaner power plants. That should be the main focus for China and many parts of the globe. Injecting climate change is a distraction and may actually inhibit progress on the other fronts by diverting resources and focusing on something that may not be prime time as yet. I still believe in the free market as the best way to resolve energy issues going forward. Along with my other belief in the conservative view that locals have the best idea of dealing with many issues that affect them directly given their particular circumstance, not some agency at the UN or Paris. I only mentioned it because you had it on your list. It seems like mainland China has changed over the years. Now they are leaning to capitalism for business, but still retaining their desire to be a super military power. The last 15 years or so now that Hong Kong is under the control of China should have had some difference to the place. Yes, Hong Kong is like the Dubai of China. 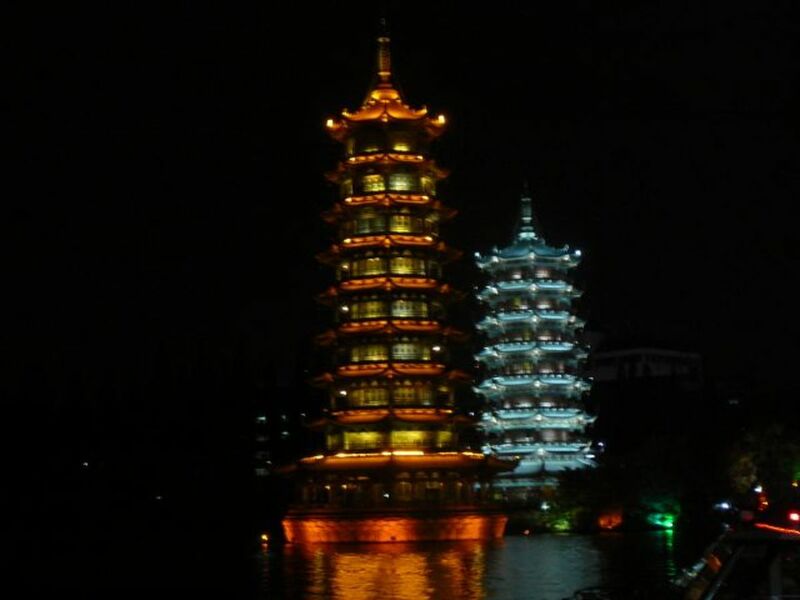 It seems to be a fascinating place, and it is where much of the wealthy people in China live. Plus there is Vegas like gambling close by. I think the city is an engineering marvel. 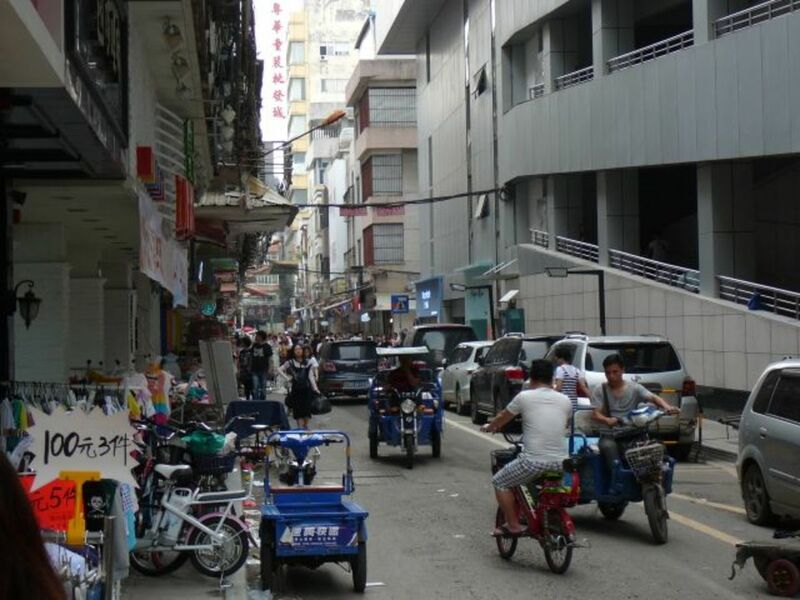 Taiwan is also a place to view how they have changed since China has enveloped them. I didn't mean to sidetrack your focus on this hub. Thanks for your observations, jack. Of course, as you already know (or could predict), I don't see any reason to separate air pollution and climate change issues--particularly when many of the causes are common to both problems. Reduce coal use, and you reduce both problems. Coal is still necessary, but only because it is a legacy infrastructure, and takes time and investment to replace. With the rapid advance of renewable energy in China, accompanied by growth in nuclear power as well, I expect Chinese coal use to continue to decline over time. From what I've read, the 'hukou' system--by which one's place of birth affects not only access to education, as you mention, but also access to all kinds of services, is a big issue. Since there is large migration from countryside to cities, where the opportunities exist, large numbers of citizens are really stuck in a 'second-class' status. And of course, such a thing is anathema to a free society. Thanks again, I appreciate your first-hand account! It is the best travel log I have read. And it is quite helpful to Chinese people as well as the foreign travelers who are planning to come to China! Broadmaster, I didn't say much about Hong Kong because it is not really a part of China despite the return of Hong Kong from British control back in 1999. Hong Kong by all measure is a western style entity. We had dinner one night in the Intercontinental Hotel by the harbor and it was the most expensive meal I've had even in America. It is a modern city with high rises and thriving trade. The strict border control going back and forth between Hong Kong and Shenzhen should tell you something. Well done travel log on China. I didn't see anything on Hong Kong, which is like the Dubai of China. Plus they aren't based in Mandarin, at least not historically, and I wondered if that was a problem for you. Of course you could read the Chinese characters but the language is different. As far as the American Bill of Rights, today that is more of the dream than the reality. China also has the most extensive and modern of the high speed rails in the world. While we, the most powerful country in the world cannot get it going here. Savvydating, thanks for the compliments. China is a force to be reckened with. They have a ways to go but we can learn from them as well. Worth the trip. I have to second Old Poolman in his comments. Your observations are priceless and you have provided me with a view of China and its people that I could not have obtained any other way. This is a wonderful summary of our trip. And I wholeheartedly agree with your suggestions for improvement and growth in China. It truly is a fascinating country with a long history of civilization but it has some great challenges ahead. I also enjoyed meeting and traveling with you and Christina. Wishing you happy and safe travels wherever your next adventure takes you. 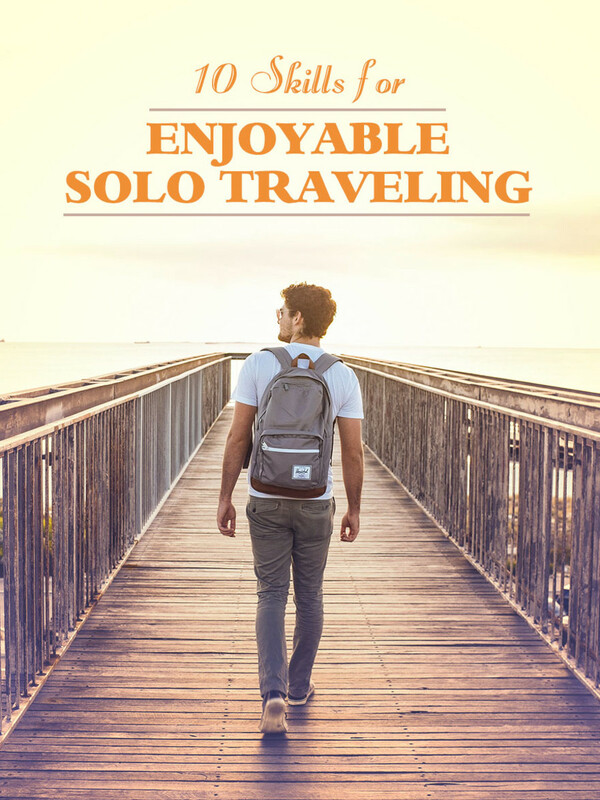 Jack - This is one of the very best travel hubs I have ever read. Your personal observations and comments made for a very interesting read. You are correct in regards to our taking things for granted that can be badly missed when we travel to other countries. I've been researching Chinese culture; consequently, I found this piece particularly enjoyable. I remember the smog in California in the 1970's, and I agree that China must try to do something about this problem, separate from the issue of climate change. Maybe this is easier said than done as they are considered the "factory" of the world. I have a cousin who is the financial guy in charge of the new DisneyWorld being built in China. He stated that the Chinese have indeed embraced capitalism. He further stated that when he asks for a set amount of money to complete this or that project, there is no quibbling, nor endless meetings. Their answer is "Yes, just do it." In that sense, my cousin feels that the Chinese, in business, are quite efficient. Well, I could go on, but I've taken up plenty of space here. Just want to say that I really enjoyed this hub. Also, the photos are wonderful.